Dim Labour cabinet member for women, children and young people, Councillor Helen “Oh My” Godwin has come up with an INTERESTING WHEEZE. She’s demanding a new maternity leave policy from the council, which would mean that councillors have BETTER maternity benefits and pay than their council employee plebs. This is the same Oh My Godwin who told Full Council in 2016 that she wouldn’t support a cost of living increase in councillor expenses while people were LOSING THEIR JOBS! No doubt it’s just a coincidence that her friend and Labour cabinet colleague Nicola “La La” Beech is just about to pop off and have a sprog? And if the new rules are passed then La La would be entitled to these ENHANCED maternity benefits through her £40k a year councillors wedge. Isn’t it nice to see senior Labour councillors looking after themselves so well? This entry was posted in News and tagged Allowances, Bristol City Council, Cabinet, Helen Godwin, Labour Party, Maternity benefits, Nicola Beech on March 20, 2019 by thebristolblogger. 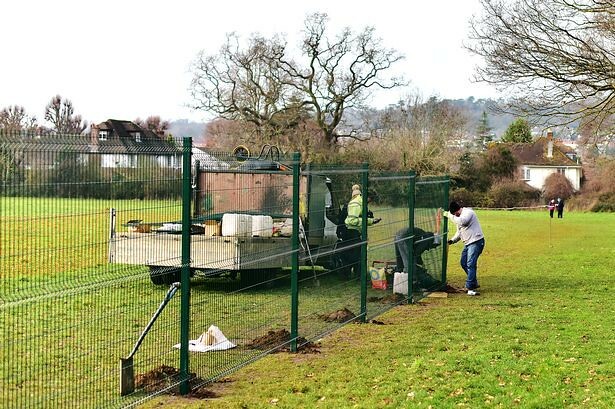 Cotham School’s determination to fence off their Stoke Lodge playing fields to “safeguard” pupils and keep the local community OUT has moved quickly from a little over-enthusiastic to stark raving bonkers in a remarkably short space of time. The BATTLE over Stoke Lodge has been RAGING since 2011 and efforts to keep the city council land, used as recreational space by the community since 1947, public were finally thrown out by the High Court last year when it rejected a Town Green registration by Bristol City Council. Now Cotham School are going ahead with their unpopular £160k plan to fence off most of the 26 acre site using dubious ‘PERMITTED DEVELOPMENT’ rules signed off by council planning officers. These rules conveniently stop the issue coming to a planning committee, despite the fact that the school’s plans are OPPOSED by the community, their councillors and their MP, Darren “Dipshit” Jones. Although all is not quite going to plan for the school, who, since moving contractors on to the site in January, have been caught UNLAWFULLY attempting to put fence posts through the roots of ancient and protected trees and close enough to a badger sett to endanger the animals. Both actions are unlawful and the school already has been forced to quickly redraw their plans TWICE while on site. Quite why the school needs to fence off the land, let alone DESTROY our city’s NATURAL HABITAT in the process, is something of a mystery. Many schools use public land WITHOUT FENCING as playing fields and, even, OFSTED, has agreed there’s no safeguarding reason why the land should be fenced off and the community effectively THROWN OFF THEIR OWN LAND. Why can’t this annoying little school run by destructive nature-hating loonies share the space? This entry was posted in News and tagged Bristol City Council, Cotham School, Darren Jones, Permitted development rights, Stoke Lodge Playing Fields, Town Green on March 17, 2019 by thebristolblogger. A surprise YouTube video announcement was made today as a hitherto unknown ‘Dave’ stepped forward and declared himself as interim elected Mayor of Bristol, declaring his intention to ‘restore democracy’ to the benighted city. This entry was posted in News, Yewmah and tagged Dave, Mayor, Westbury-on-Trym on March 16, 2019 by thebristolblogger. Keeping his manifesto promises was always going to be challenging for the Reverend Rees, not least because we calculated at the time that it contained about 78 UNCOSTED PROMISES in all. However, what we couldn’t predict was how the Reverend would smash through any BARRIERS TO FAILURE quite so spectacularly. Top of the list must come his promise to “COMPLETE THE ARENA“, which has now been downgraded to, “I will cancel the existing arena project I promised and instead support a global corporation’s efforts to build an arena in Filton named after an obscure dead bloke who owned our local privatised water utility scam”. Meanwhile in terms of the Reverend’s highly contested housing promise – “WE WILL BUILD 2,000 NEW HOMES – 800 affordable – a year (by 2020)” – his housing guru, Paul “Wolfie” Smith continues to carefully calibrate the spin with the line that his PROJECTIONS are on target … Even if the actual number of houses being built isn’t! Then there’s the recycling promise. The Reverend’s recently promoted former waste boss, The Former Socialist Known as Kye Dudd simply CHANGED THE TARGET and hoped no one would notice. We will “increase recycling, setting a target of 55% for all waste by 2020,” thundered the Reverend’s manifesto in 2016. The comment came after the Reverend’s council managed to announce in January a measly ONE PER CENT increase in recycling rates since 2015 to 46%. Nothing like enough of an increase to reach 50 per cent, never mind 55 per cent, by 2020 as promised in their manifesto. Have Rees and Dudd changed their promise in a vain attempt to claim they have courageously fallen a little short of a hugely ambitious target and hope we’ll not notice? 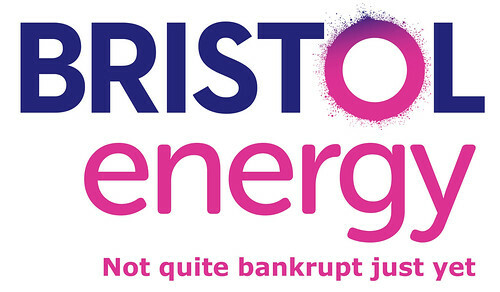 This entry was posted in News and tagged Arena, Bristol, Housing, Kye Dudd, Labour Party, Manifesto, Marvin Rees, Paul Smith, Recycling, Target, YTL on March 3, 2019 by thebristolblogger. The Reverend Rees’s most recent Q&A on Facebook found him in top lying form explaining his super tough policy on developers who FAILED TO DELIVER on affordable housing for the city. 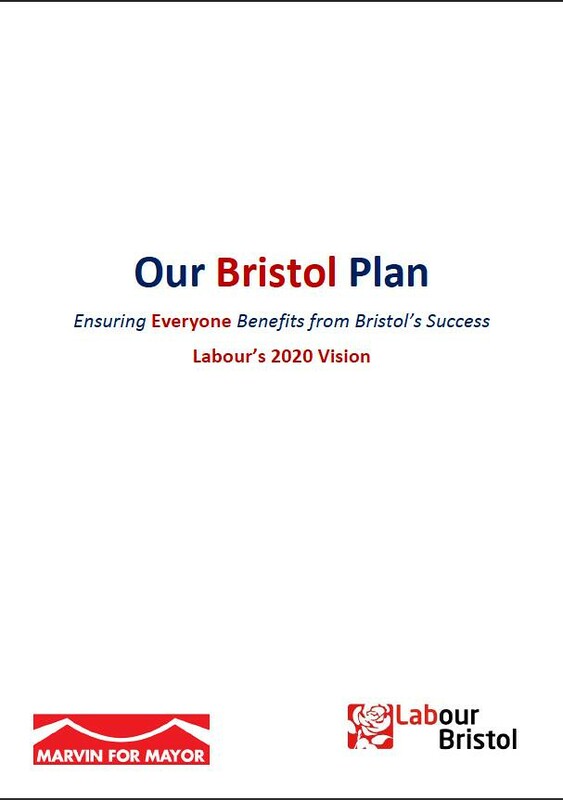 “If on your piece land you FAIL TO DELIVER what Bristol needs, we won’t be very impressed by that and WE WON’T LOOK KINDLY on that when we’re looking to develop our own land and looking for partners to come and develop with us,” he boomed from his Facebook pulpit. But is this the same Reverend Rees who’s apparently awarded a lucrative contract to a London-based corporate, LEGAL AND GENERAL (L&G) to create a mixed use development on the extremely VALUABLE council-owned Arena Island site? And is this the same L&G that was exposed last autumn as only offering 4 AFFORDABLE HOUSING UNITS out of a potential 120 on another valuable Temple Quarter site on Bread Street? When it comes to saying one thing and doing another, the Reverend really is on to something. Indeed, it would appear that the Reverend and his personally appointed £200k a year friend and regeneration chief, Colin “Head Boy” Molton, have looked INCREDIBLY KINDLY on L&G despite them totally failing to “DELIVER WHAT BRISTOL NEEDS” in Temple Quarter and have, instead, embarked on an expensive planning appeal process to get exactly what L&G needs at the city’s expense. 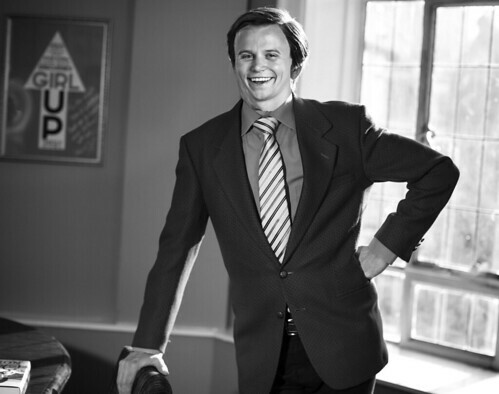 When he was first MYSTERIOUSLY APPOINTED by persons unknown, virtually the first thing Head Boy Molton did was visit the London offices of L&G ALONE on12 December 2017. He met them again ON HIS OWN at the Council House on 24 January 2018. On 5 March 2018 he had a telephone call with representatives of L&G and “NO NOTES FROM THE CONVERSATION EXIST“. On 8 June 2018 Molton and the Reverend met representatives of L&G in the Mayor’s Offices. Early on Tuesday 2 October 2018, the Reverend and and Colin Molton attended a breakfast with representatives of Legal & General and the Bristol Chamber of Commerce & Initiative on “how we can create renewed infrastructure, housing, energy and urban regeneration in Bristol”. Later that morning the Reverend and Molton met with the CEO and the Head of Public Affairs of L&G at City Hall and “NO NOTES FROM THIS MEETING EXIST“. During this time the Reverend and Molton FAILED to meet with arena developers, Arena Island Ltd at all. 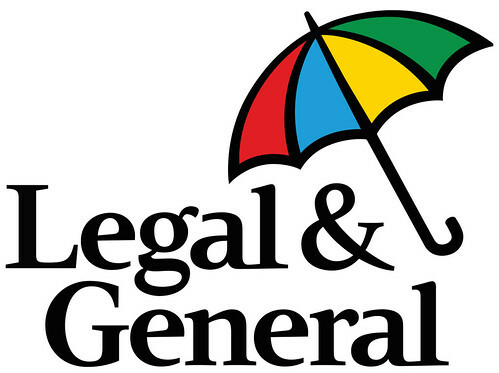 Then on 23 August 2018 L&G released a press statement titled ‘Legal & General unveils vision for major urban regeneration project at the Temple Island (former Arena Island) site in Bristol’. Failing to deliver for Bristol seems to work rather well for some corporate developers who have the ear of the right people doesn’t it? This entry was posted in News and tagged Affordable housing, Arena Island, Arena Island Ltd, Bread Street, Bristol Chamber of Commerce and Initiative, Colin Molton, Interim Director Growth and Regeneration, Legal & General, Marvin Rees, Temple Quarter, Urban regeneration on March 1, 2019 by thebristolblogger. I had no idea that two weeks after my last article about the (bad) experience of (quite a few) black and ethnic minority staff that the council would hold a ceremony celebrating the council’s, er, success in supporting people from marginalised backgrounds (otherwise known as the ‘Stepping Up’ program). I might not have helped. So it is with that recognition that I am hoping that the council aren’t about to announce some sort of ceremony celebrating the Council’s success in supporting people with disabilities, because today – hold on to your hats – I have quite a few things to say about how the Council treats its disabled staff, too. The Council is bad on disability. Its worst offender is Adult Social Care (the “caring” profession), but other departments get a dishonourable mention as well. It’s not always the manager’s fault, because sometimes they want to help their staff, but pressure from more senior managers and woeful advice from HR makes it inevitable that staff don’t get the help they need. Let’s be clear about this: the employer MUST make reasonable adjustments to help disabled staff overcome organisational, operational and physical obstacles. The Council – or at least its managers – treat any adjustment that requires them spending any of their budget on it, as unreasonable, which is quite wrong. Except, when that person does return to work they get told: ‘we don’t have light duties.’ So the staff member goes back on the sick. They don’t have any choice, they have a disability, they aren’t as able as they were before. A few months later, the sick pay has run out, management have popped round twice and very nicely, over a cup of tea and a digestive, given you a level one and then a level two ‘notice of unacceptable attendance’ and you have to go back to work or face ruin. The HR adviser was a very nice woman who nodded whenever you spoke and frowned in all the right places. That HR adviser is the one who will tell you, when you get back, that because of ‘the needs of the business’ there are no light duties and that we will now need to give you a ‘stage three final review of attendance’. You reply that there is always paperwork that needs doing, or perhaps it is just visiting people’s homes that you can’t do anymore and perhaps you could do triage instead? And why are you giving me a stage three when I have done what you wanted and come back to work? But the answer is no and the stage three is just policy. One of three things happen next: you go back to work on their terms and have a fall; you go back on the sick and they hold the stage three in your absence, dismissing you; or you phone the union and try and get what is supposed to be an ethical employer to accept its responsibilities. 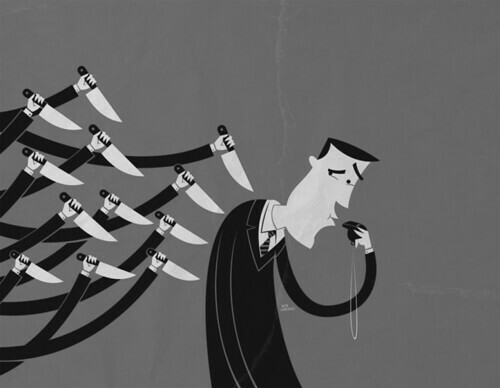 There is another pitfall that unwary staff fall into that the employer is only too happy to lay. If there are no adjustments that can reasonably be done – and scepticism would be my default position on this – then medical redeployment is a reasonable adjustment. What if there are no suitable jobs? What if I get no help? Well, at the end of the redeployment, if you haven’t found another job you are then on the dole. What sort of impairments are we talking? Cancer, musculo-skeletal injuries, fibromyalgia, depression, macular degeneration – those sorts of things. All serious and all debilitating unless you get the support you need to work with less pain; happy and productive in your occupation. You may have seen them struggling their way around City Hall, terrified of being managed out of the business. It didn’t use to be like this. In the old days, if you had seen better days your manager would’ve done his best to look after you. Something bitter and hard-hearted has happened to the Council. 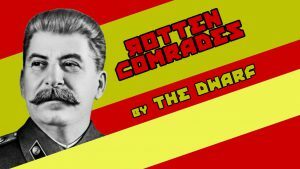 This entry was posted in News and tagged Disability, Equalities, HR, Medical redeployment, Racism, Reasonable adjustments, Rotten Comrades, The Dwarf on February 20, 2019 by thebristolblogger. The selection process for the Labour mayoral candidate in 2020 continues to be gripped by BUREAUCRATIC INERTIA. As nobody, it seems, in the entire Labour movement still has any idea how the trigger ballot process they’re proposing to use to decide if the Reverend runs again or not actually works or when it might take place. However, we do now have some idea about the Labour-affiliated organisations who will DECIDE whether the Reverend Rees gets a free run at re-election next year or whether he will need to go through a proper and, likely, very tricky ONE MAN ONE VOTE selection process within his own party. We’re reliably informed that 25 Labour WARD BRANCHES made up of members have a vote each in the trigger ballot; 15 SOCIALIST SOCIETIES have a vote and 77 TRADE UNION AFFILIATES have a vote. Members, many of whom oppose the Reverend, are therefore outgunned THREE TO ONE by the votes of faceless trade union bureaucrats. If this ballot ever happens, the result seems a foregone conclusion. Meanwhile the Bristol Labour Party, encouraged by Momentum campaigners, has forged ahead with an “open” selection process for its candidates for councillor. Although all might not have gone quite to plan after a well-organised LGBT LOBBY helped out by right wing DARREN “DIPSHIT” JONES SUPPORTERS in Bristol North West managed to get two female socialists and opponents of Rees’s Tory austerity agenda REMOVED from the councillor list for “transphobia”. Naturally, the usual ragbag of Blairites, social climbers and former Lib Dems who tend to make up the majority of Labour’s council candidates have all been waved through for selection as candidates. This entry was posted in News and tagged Bristol Labour Party, Darren Jones, Election 2020, LGBT+, Mayor, Momentum, One man one vote, Reselection, Socialist societies, Trade union affiliates, Trigger ballot, Ward branches on February 19, 2019 by thebristolblogger.